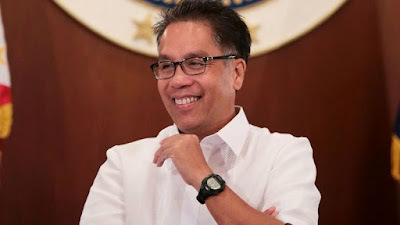 President Duterte says,‘Vote for Roxas’; Mar says, "Thank you"
President Rodrigo Duterte has said that Filipinos should vote for his apparent pet peeve in the 2016 elections former Interior Secretary Mar Roxas. Duterte was making a point about the involvement of retired police official Marcelo Garbo, a former aide to the former secretary. "Vote for Roxas, Ilonggo eh. Iboto ninyo, walang problema ‘yan," Duterte said as land certificates to agarian reform beneficiaries in Boracay. "Pero Garbo na ‘yan, naghawak ng d**ga sa Visayas. Iyon ang police makita mo palagi sa tabi ni Roxas doon," he added. Duterte and Roxas both served in the 11th Congress. Duterte represented Davao City while Roxas represented Capiz. They called each other friends until news came out in 2015 that Duterte was suffering from cancer, a report that the Davao mayor attributed to Roxas' camp. Roxas has repeatedly denied that his team was behind the morbid news that riled Duterte. Sought for comment, Roxas said, "Totoo ba yan? Kasi wala akong personal knowledge”. 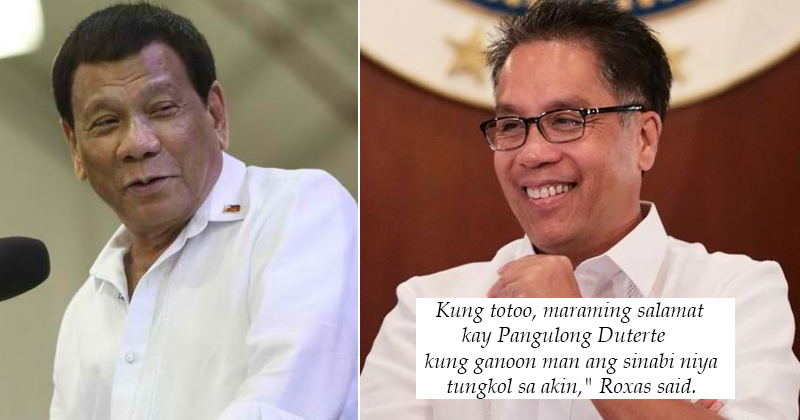 “Kung totoo, maraming salamat kay Pangulong Duterte kung ganoon man ang sinabi niya tungkol sa akin," Roxas said. "Katulad ng sinabi ko, tumatakbo ako para sa senado hindi bilang Round 2 ng 2016, kundi para makatulong lutasin mga problemang hinaharap ng mga Pilipino," he added. "Malinaw naman sa akin: there’s no reason why Filipinos should not progress. I want to go back to public service so I can help with this," Roxas said.